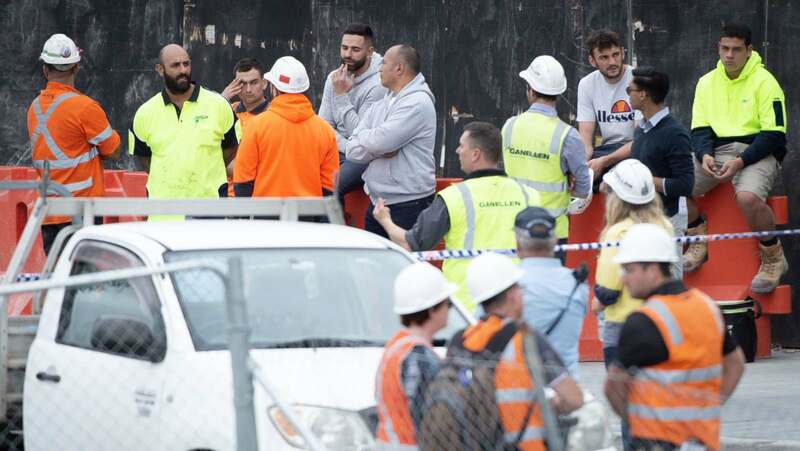 Around 12:30pm AEDT on April 1, two men were completing work from a scaffolding platform on a building site at Sydney’s Macquarie Park when the structure collapsed. Nine ambulance units, a Careflight helicopter and multiple Fire and Rescue NSW crews were deployed in attempts to free the workers. NSW Ambulance and Fire and Rescue crews report “an absolutely chaotic and emotionally charged scene”, and that due to the amount of debris there was some difficulty reaching the injured men. Fellow workers attempted to free them, and one fellow worker explained that they used grinders and hammers to attempt to release the men, who were screaming out for help, before site supervisors advised them to move, for their own safety as much as for that of the injured men. Crews reached the workers almost two hours after the collapse and NSW Ambulance spokesman Steve Vaughan emphasised that “the injuries were significant.” One worker was confirmed dead at the scene. The other worker, aged 39, was rescued from the rubble and taken to Royal North Shore Hospital with injuries to his pelvis and abdomen. He remains in a critical condition. A SafeWork NSW spokeswoman said that numerous tradesmen were working on the lower deck of scaffolding at the site when it collapsed. “While the cause of the collapse is unknown at this stage, SafeWork is employing significant resources to fully understand how this tragic incident occurred,” the spokeswoman said. SafeWork inspectors remain onsite today, as well as police who have set up a crime scene, as they prepare a report for the coroner. The death of the young worker today brings the number of Australians killed at work this year to 22.